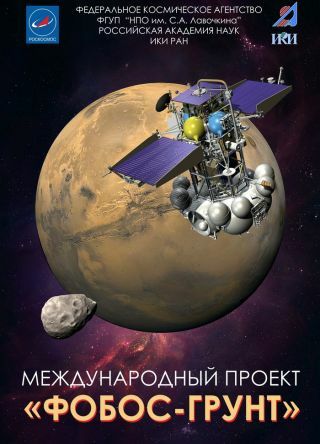 The ongoing plight to save Russia's Phobos-Grunt Mars mission from a destructive nose-dive to Earth underscores a widespread anxiety of late regarding satellite leftovers tumbling onto terra firma. The mission, a plan to visit Mars' moon Phobos, collect samples of its dirt, and return them to Earth, derailed when it stalled in Earth orbit after liftoff Nov. 8. Long distance diagnosis of Phobos-Grunt's overall health is underway. Operators of the European Space Agency’s (ESA) 15-meter diameter dish antenna at Perth, Australia — quickly modified to support communications with Phobos-Grunt —made repeat contact with the spacecraft on Nov. 22 and Nov 23, offering a promising sign that it may still be possible to control the vehicle. However, another attempt on Nov. 24 to make contact with the probe failed. "Last night we had a good pass over Perth and succeeded again in activating the downlink," Wolfgang Hell, the service manager overseeing ESA support to Russia’s NPO Lavochkin, the main contractor of the Phobos-Grunt project, told SPACE.com in a Nov. 24 email. "We got a strong signal and acquired telemetry. This night we had no success so far." Meanwhile, the 14-ton (13-metric ton) spacecraft is adrift, loaded with roughly 8 tons (7.5 metric tons) of hydrazine and nitrogen tetroxide fuels. If the spacecraft's numerous propellant tanks are made of aluminum, they are likely to fail early when it encounters the heat of re-entry. All that fuel — whether frozen or unfrozen — shouldn't make it to Earth's surface, according to re-entry analysts. However, analysts must account for Phobos-Grunt's nose-cone shaped descent vehicle that was built to bring back to Earth bits and pieces of Phobos, one of the two moons of Mars. It's designed to fall through Earth's atmosphere and make a hard landing, sans parachute. The probe also totes very small amounts of the radioactive element cobalt-57. Then there's a bit of international embarrassment. Phobos-Grunt carries a hitchhiking Chinese Mars orbiter, Yinghuo-1, and the Living Interplanetary Flight Experiment funded by the U.S.-based Planetary Society. If Phobos-Grunt does re-enter Earth's atmosphere, there will undoubtedly be some surviving spacecraft components. Just how much is a guessing game. The good news is that most of the Earth's surface is covered by water, and much of the remainder is unpopulated. Still, uncontrolled re-entries of space hardware do pose a small but estimable risk to ground-dwellers. If all this sounds a tad familiar, flip your calendar back to NASA's Upper Atmosphere Research Satellite (UARS), which fell back to Earth in uncontrolled mode over the Pacific Ocean in September. That re-entry was followed a month later by Germany's ROentgen SATellite (ROSAT), which fell in over the Bay of Bengal. In March 2011, Robert Dunn was hiking in Moffat County, near the NW corner of Colorado. He heard a high-pitched sound that he could not identify, but it caught his attention since he was in a fairly isolated area. A short time later, he noticed a 30” diameter object on the ground within a crater about a foot deep. There was Russian writing on the object. The object was warm when he touched it, even though he was in an area with snow on the ground. It was later identified as a spherical titanium tank originating from a Russian upper stage rocket, launched earlier that year. A followup search found another, smaller sphere 34 miles to the North-East. Orbital debris experts estimated that, collectively, those two satellites likely splat the Earth with over 2 1/2 tons of flying wreckage, including mirrors, batteries, chunks of reaction wheels and fuel tanks. For its part, NASA is endorsing a new approach in spacecraft design to lessen the amount of surviving components during re-entry — an idea termed "Design for Demise," or D4D in space agency short-hand. Nicholas Johnson, NASA's chief scientist for orbital debris at the Johnson Space Center in Houston, said that objects that have commonly survived re-entry in the past are propellant and pressurant tanks, as well as elements of reaction wheel assemblies. "These are the routine, regular culprits," he told SPACE.com. NASA's Goddard Space Flight Center in Greenbelt, Maryland has been at the forefront in championing the D4D concept. "One of the ways that we can try to reduce the surviving debris is to redesign an object so that it will demise," said Scott Hull an orbital debris engineer at NASA Goddard. "Sometimes it is possible to redesign a component to a different shape, such that it will re-enter faster, thus generating more heat during re-entry." Hull said common materials used in spacecraft components that take high heat loads include titanium, stainless steel, glass, ceramics, and beryllium. Conversely, graphite-epoxy composites, aluminum, and polymers are far more vulnerable to intense temperatures, Hull said. Flywheels are a recurring survivor of reentry, but don't necessarily have to be, Hull pointed out. Off-the-shelf reaction wheels sometimes use stainless steel or titanium flywheels which allow higher torque or faster wheel speeds in a small diameter. "We've found that the same torque can often be created by using a larger diameter flywheel made from aluminum, which will demise readily," Hull reported during an orbital debris meeting earlier this year. The growing use of lithium-ion battery technology in spacecraft, Hull said, has helped to reduce the reentry risk for most new missions. Propulsion system tanks can and do survive reentry, Hull explained, as most traditional tanks are made from titanium or stainless steel. Developmental work in fabricating tanks to be made from more demiseable materials is underway, he added. The ultimate goal for D4D, concluded NASA's Johnson, is to come up with new space vehicle design practices that, from the start, take into account re-entry hazards. While NASA has started implementing D4D, it's up to other countries to work with their own industries and component suppliers to implement whatever is necessary. "The word we're trying to get out to folks is that this is possible and is the right thing to be doing," Johnson said.